If you cannot sleep tension-free in your own home, something is most likely amiss and if it is your home security, then you need to talk to us! 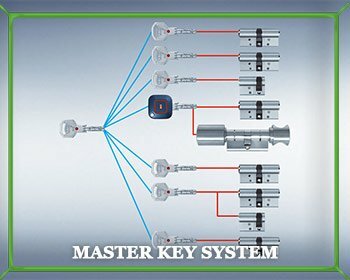 Locksmith Master Store is an exceptional residential locksmith service provider in Phoenix, AZ area, operational for the last 10 years. We have worked all these years, making ourselves better at every step of the way. Our job is to provide you rock solid locksmith protection and perfect service, whenever you need it. All you need is one shoddy job to encourage an intruder to violate the security of your home! We want you to never give that opportunity to anyone and strengthen your homes before someone has the courage to break into it. We understand the importance of home security to you and your loved ones. Weak locks are a threat not only when you are at home but also when you are away. Who is to say that your intruder has not been planning this for a while, waiting for a perfect opportunity to strike? Your kids could be home alone when this happens! Locksmith Master Store urges you to call one of our experts to evaluate your homes and its security. We will study the potential gaps and recommend locking solutions that will fortify your property against any kind of external threats. All our professionals have qualified to act as your security counselor when you are looking to upgrade your home security. At Locksmith Master Store, we only recruit people who have years of experience and the necessary qualifications. When it is about home security, we don't want to leave anything to chance, as our negligence can be a thin line between you and your safety. This is why we exercise extra caution in getting only qualified locksmiths onboard our team. All our experts work with absolute diligence and commitment. We will repair your locks, duplicate your keys, design your home lock setup or also help in eviction services. If you have a residential locksmith concern, our locksmiths have the experience and knowledge to tackle it. We are so proud to claim that you can count on us and our support anytime you need a professional’s help. We provide 24-hour emergency locksmith assistance to all our residential clients in Phoenix, AZ. If you are locked out of your house or just had a break in, it can be overwhelming to sleep in a house that is so vulnerable. You don't have to wait for next morning to get your locks fixed, just call us and we will send our best men over to change your locks overnight. We also have a mobile locksmith facility, allowing our technicians to arrive within minutes of receiving a call for assistance. In all these years, our team has amassed a wealth of experience that they use to cater to our clients. We can help you efficiently for all your residential locksmith needs, from installation of mailbox locks to setting up a master key system. 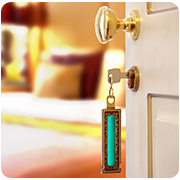 You can rely on our professional guidance and assistance for your locksmith requirements. We have been present in Phoenix for the last ten years and can now confidently say that we are the best and the cheapest residential locksmith out there.